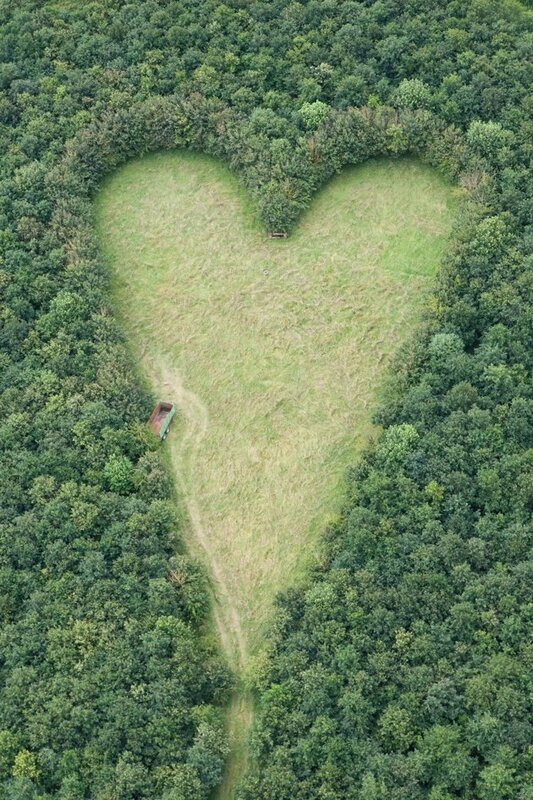 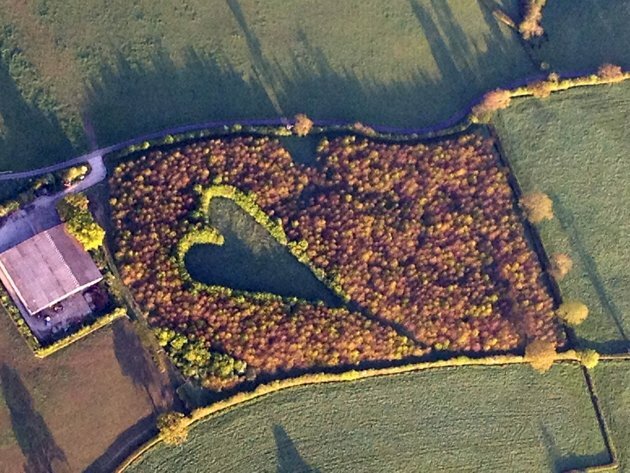 A devoted farmer painstakingly planted a tribute to his late wife, Janet, using 6,000 oak trees to etch out a giant heart in the middle of his field in South Gloucestershire, England. Howes, 70, and a gardener spent weeks planning and setting out each oak after his wife died suddenly 15 years ago. 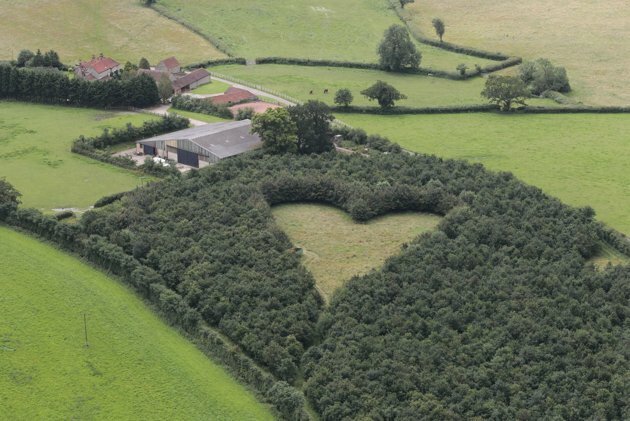 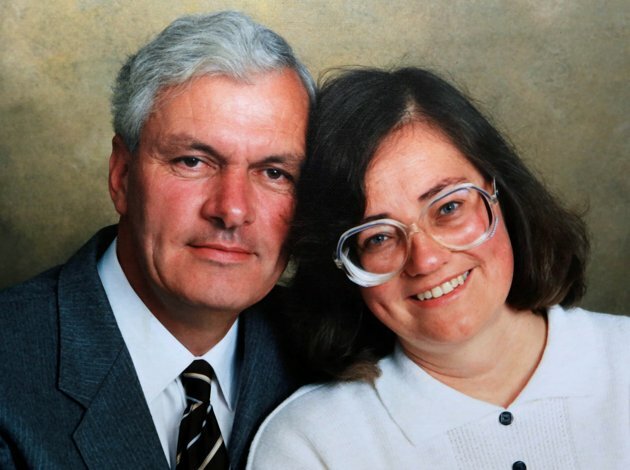 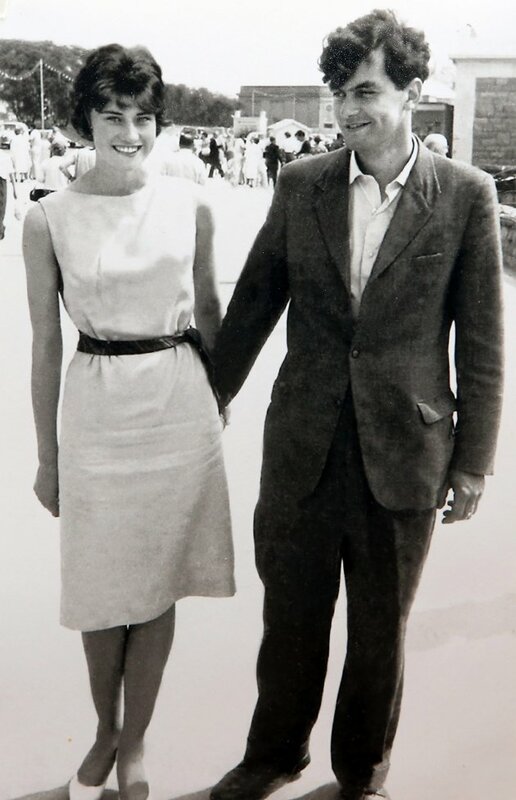 He planted the fledgling trees across a six-acre field after carefully marking out a heart shape in one half of the grass, with the heart pointing in the direction of her childhood home. 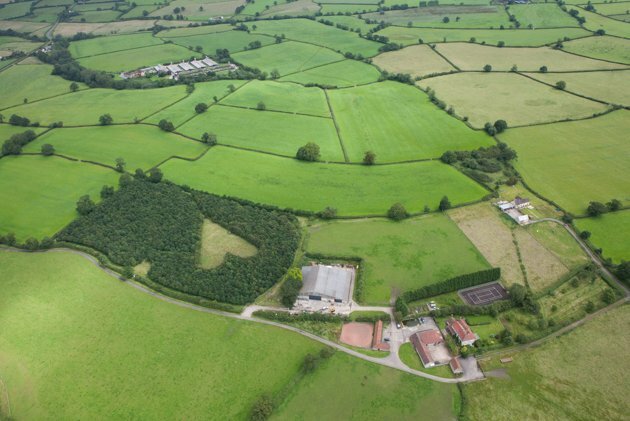 The stunning crop was captured in its full beauty after a balloonist sailed over the farmhouse and photographed the field from the air.